Featured Designer : MAI NIEMI and Finnish Fairytale. Those of you who have met me will probably remember that I love beautiful clothes. It runs in my family......my grandmother was a dressmaker and my sister began her career as a Fashion designer. My mother taught us both to sew when we were young, and I made my own clothes until I was in my twenties. Now, as I travel the World, it is always a delight to buy beautiful clothes in exotic places! However, recently there have been such huge shifts in the Planetary Energies and Consciousness, that Clothing and what we wear has become a part of the changes. Speaking for myself, I am wanting to wear clothes that expresses the frequencies of the New Consciousness, in Color, Style, Fabrics and Ethical qualities. That means clothing that is created with Love and Passion from Materials that are ethically sourced and are often hand made. And sometimes...even making your own! I do...and it can be fun! The Joy is in putting together a look that reflects Who You Are and what you feel, and not what the Fashion Industry dictates. I don't know about you, but I guess I am tired of trying to be thin and look twenty, wearing mass produced clothes made in China that look good on anorexic teenagers only and are also produced in non-ethical circumstances, often in sweat shops and with child labor. I want clothes that are Individual and beautiful, that allow me to feel like what I am - a middle aged woman - but yet still to express the Divine Feminine Goddess within. Of course, these beautiful clothes can be worn by women of all ages to express their Inner Goddess. 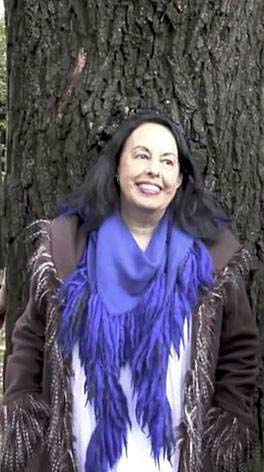 The Concept for "New Earth Soul" clothing is Beautiful Garments and Styles for women of all ages. The Clothes bring out the essential Feminine energy of Beauty - and every Woman is Beautiful in her own way regardless of her age and size. So, with this in mind, I have been using my working trips abroad to source clothing, designers and connections, that reflect the Energy of the New Earth Soul, and sharing this with You! Have fun with me and discover the Divine Feminine Goddess within that can be expressed by what you choose to wear. The Indigenous Peoples of the Earth all know that "dressing up" is Sacred and reflects Divinity. So...I like to "dress up" every day and let my Inner Divinity shine through.